This mighty continent is made for adventuring. It is full of natural marvels and unique plants and animals. There are primeval rainforest, awesome deserts, rugged, snow-capped ranges and an amazing coastline. The Great Barrier Reef, with its beautiful marine life and gorgeous islands, extends some 2000 kilometers along the north-eastern coast. 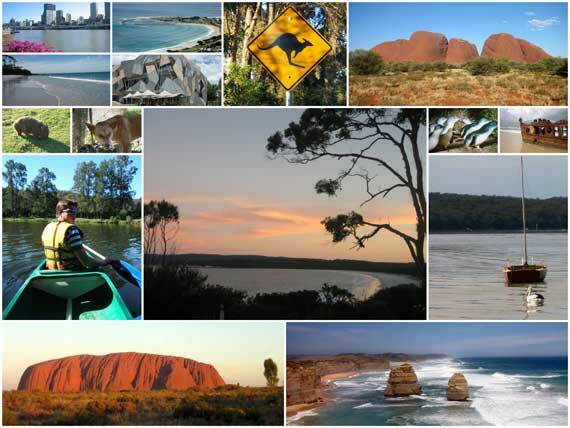 It is not necessary to travel far from the major cities to encounter fantastic landforms such as the Twelve Apostles in Victoria or the Three Sisters in New South Wales. Longer, well-planned adventures are safe and rewarding. A few hours’ drive takes travelers from Darwin to Kakadu; a few hours in a plane brings the majestic sight of Uluru, that awe-inspiring rock in the centre of the continent.